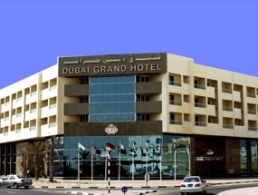 Dubai Grand a 3 STAR HOTEL is located barely 10 minutes away from Terminal-1 and Terminal -3 and 5 minutes from Terminal-2 of Dubai International airport. The famous TRADE CENTER is 20 minutes away. Our Hotel is only 5 minutes drive from the DUBAI EXPO CENTRE. The Mumzar Beach Park, is barely 8 minutes & shopping district is just 10 minutes away.